Naruko is a Taiwanese brand and it has a steady amount of followers that love their products. I guess that many people simply do not know the brand because they are not as well spread as other brands like Etude House for example. 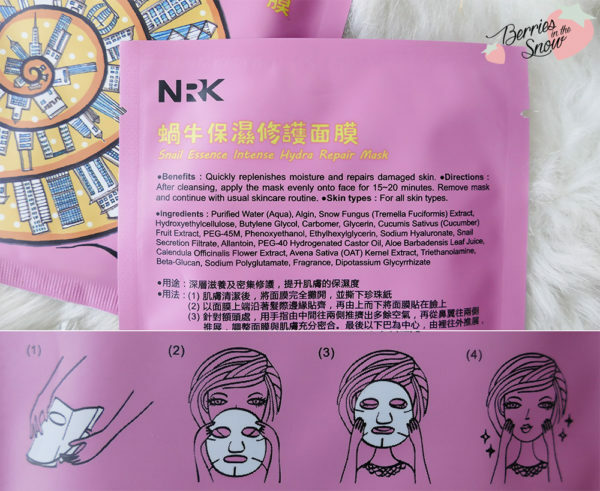 Yet, Taiwanese sheet masks have always had quite a good reputation in my eyes. And this mask doesn’t let you down either. Let’s first appreciate the packaging design. 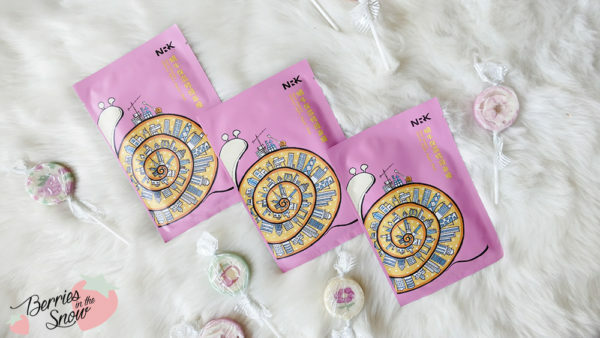 The pink color pops up directly and the snail illustration is really crazy and cute on the same time. 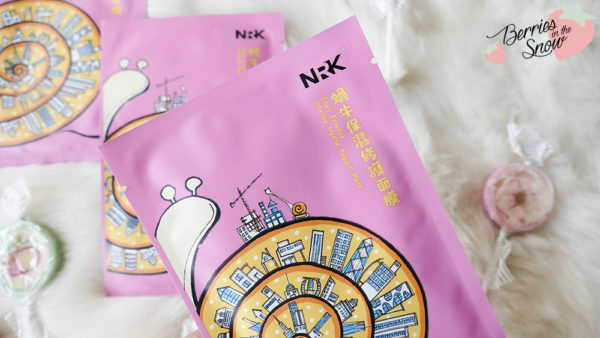 It shows a big snail with a whole town inside its shell and even a small snail-like a crane building up new houses…You will directly know what the key ingredient of this mask is supposed to be: snail! I talked about the benefits of snail extract several times and it helps wonders for irritated and damaged skin and acts very moisturizing. My only personal downside was the fit of the mask, which wasn’t perfect, but this downside is negligible. The moist and chewy texture makes up for all of it and leaves the skin perfectly pampered. 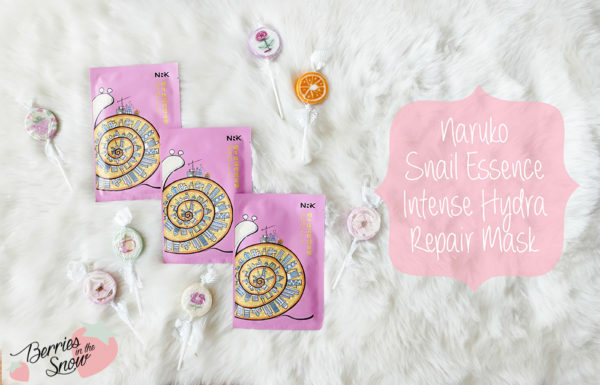 Naruko Snail Essence Intense Hydra Repair Mask is definitely worth a try. You can get a box containing 10 pieces of this mask from the official Naruko store for 22.99 US$ with free shipping or from Amazon.com for 16.15 US$ plus shipping costs. Did you try products from the brand Naruko already? Just as a short reminder: All products mentioned and reviewed on this blog are of my personal opinions. This product here was sent to me for reviewing purpose by http://www.narukoboutique.com/ which doesn’t influence me in providing my honest opinion on the products. This looks and reads so good. 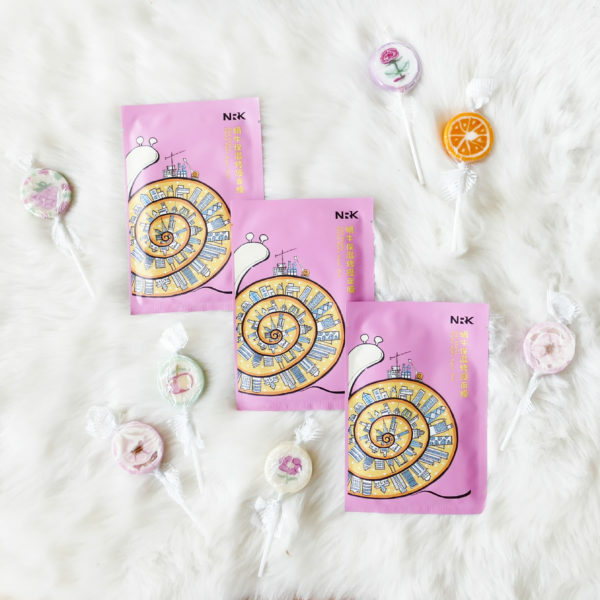 I love snail products and cute packaging and this contains both!